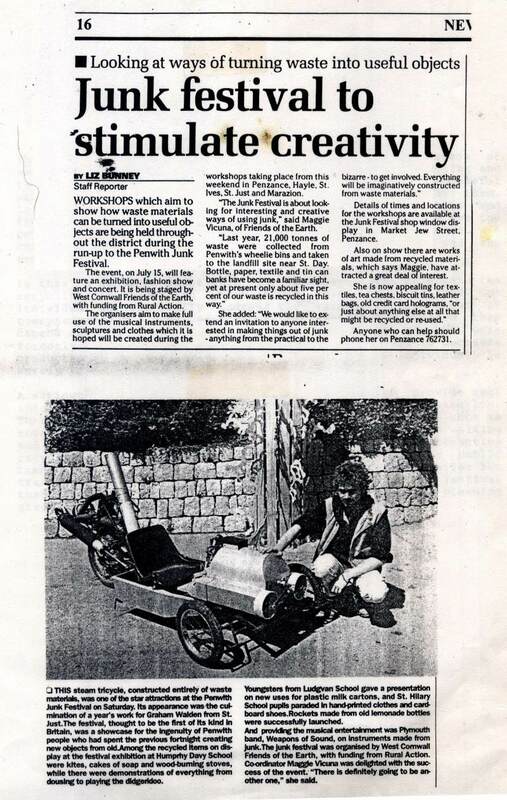 The Penwith Junk Festival took place in July 1995, offering numerous workshops in creating beautiful and usable objects from recycled materials. 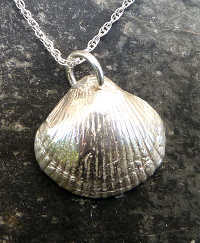 Workshops were led by artists and craftspeople througout Penwith, work was displayed in an empty shop in the main shopping street of Penzance, Market Jew Street, and at the end an all-day Festival, exhibition and concert was held at Humphry Davy School in Penzance. Rockets made from pressurised disposable drinks bottles were launched and a fashion show took place. The popular series of events and workshops was arranged by West Cornwall Friends of the Earth with a grant from Rural Action and reported by the local paper, The Cornishman. The event highlighted both current levels of recycling and the future potential for recycling, and many expressed interest in having a future Penzance Junk Festival. Click on the image here to see the reports and read about the amazing DIY steam engine. It would be nice to see some images of the fantastic stuff that was made and displayed. Music was provided by Plymouth-based Weapons of Sound, the original junk music band, who continue to play to this day. If you like their work you might also like the Vegetable Orchestra who make music with vegetables and instruments made from vegetables.